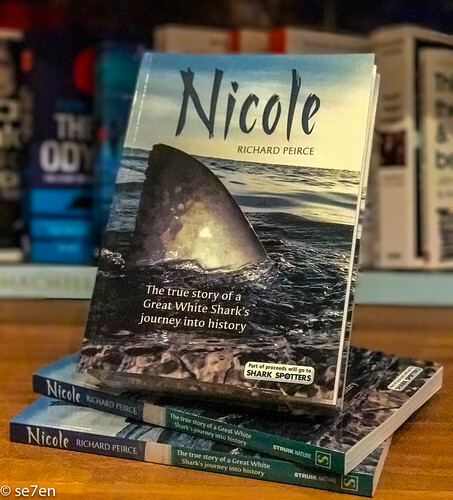 It’s Monday evening over here, which means that it is time for a book post and just recently I attended the launch of Nicole, the true and incredible story of a Great White Shark’s Journey into history, by shark conservationist Richard Peirce, at our local bookshop Kalk Bay Books. 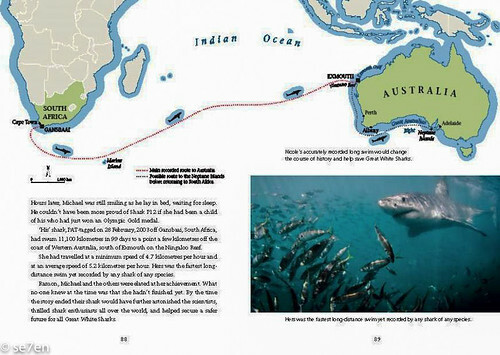 This book is written for shark lovers, ocean lovers and conservationists… it is based on the 11000km journey that an adult female shark took from the coast of South Africa, across the Indian ocean, to the coast of Australia… and back again. Incredible… this shark opened the door for shark research and conservation throughout the oceans of the world. 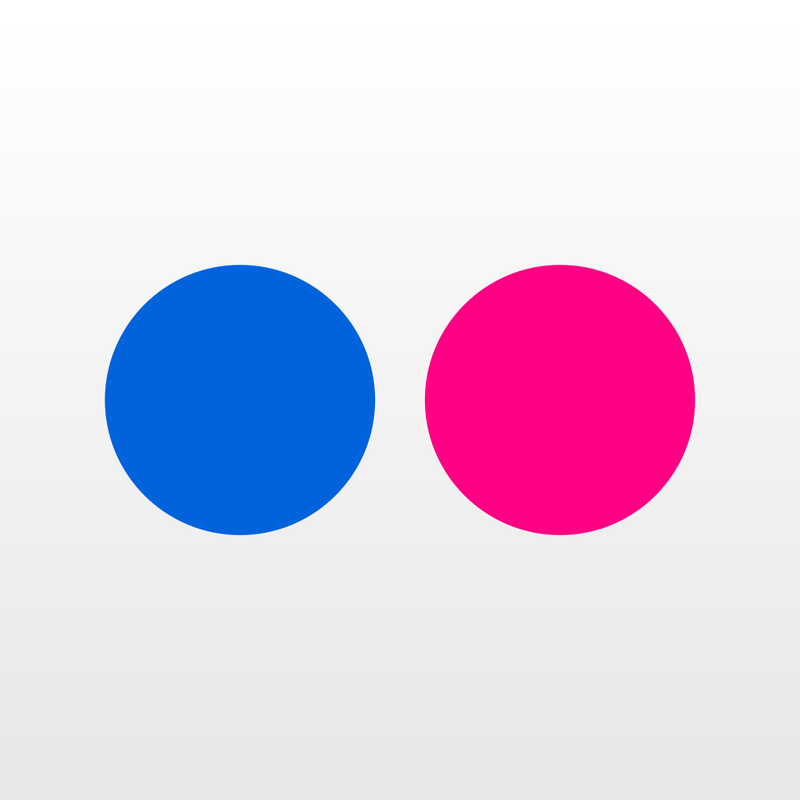 A groundbreaking study… and a fascinating read. The Incredible Journey: This book is about the incredible journey that a shark, called Nicole after the fiery actress Nicole Kidman, traveled while she was tagged with a satellite tracker. The kind of tracker that was used was one that popped up when she got to the far side… the tracker then connected with the satellite and data was transferred back to the scientists. It was not a real time tracker, so the author had to use a little creative license when describing Nicole’s journey. 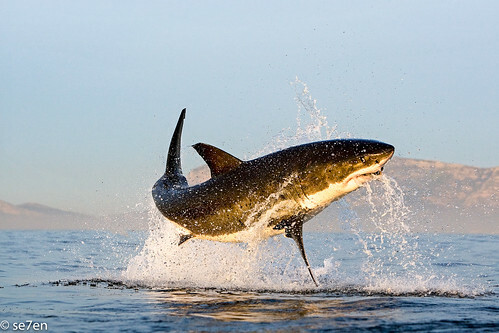 What they have learned about Great White Sharks is that they start breeding when they are far older than they originally thought and they only have 3/4 pups in a litter… which means they have a really small reproduction rate… and threatened as they are, this really works against them. Nicole inspired protection of Great White Sharks all over the world: South Africa was the first country to embrace protection of the Great White shark, but since the discovery of Nicole’s epic journey right across the Indian Ocean, and back again, it was realised that protecting these incredible animals in local waters just wasn’t enough. This animal inspired Cites protection and legalised the protection of all Great White Sharks throughout the world’s oceans. While the law is there to protect the sharks, it doesn’t help them much in practice. Nicole Was Part of a Bigger Project: Before Nicole was fitted with a tracking device she was part of a bigger photography project. Not only did Nicole have her own distinctive personality but all sharks have a unique fin pattern, and Nicole’s was particularly distinctive. The photographer on this project felt a strong emotional attachment to Nicole because he had encountered again and again. She was the shark that kept coming back and interacting. Nicole inspired a further research into the habits of Great White Sharks: So much mystery surrounds these beautiful creatures, scientists assume that sharks travel the world for breeding purposes, perhaps Nicole was looking for an super-shark. The journey is a mystery that needs to be explored. 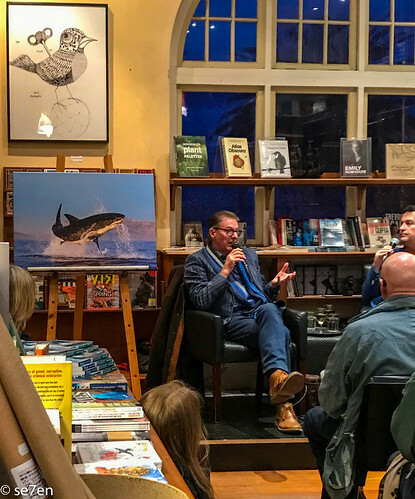 Meet the Author, Richard Peirce: His father was in the army in Kuwait and he remembers as a small boy, spending a summer watching the shoreline for sharks. Over the last 30 years he has traveled the world ticking off sharks on his spotter’s list. 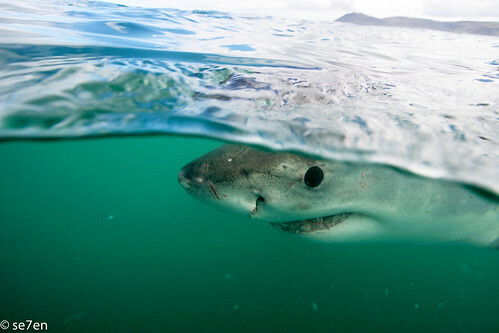 There are over five hundred species of shark and he has seen 68. He never expects to see deep water sharks ever. He did start out in the music industry… it wasn’t a great chapter in his life, he turned down a number of number one artists!!! His other claim to fame is that he sold a carpet to Yasser Arafat, he was invited to negotiate the sale, and the deal was done. Meeting a Great White Shark: When you meet an apex predator there is a visceral response. 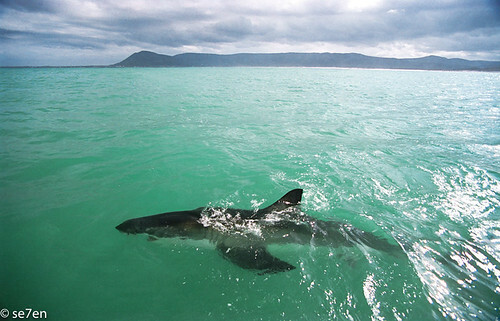 Nothing prepares you for your first encounter with a great white shark – there is no fear, just awe and wonder. We aren’t the shark’s prey, sharks are unfairly judged. When he met with lions, the situation was very different. The rangers told him that they had told the lions that he was coming… the lion tracked him and they watched each other for an hour and a half before the fear receded. Regarding Conservation: It is difficult to be optimistic, but we have to be. 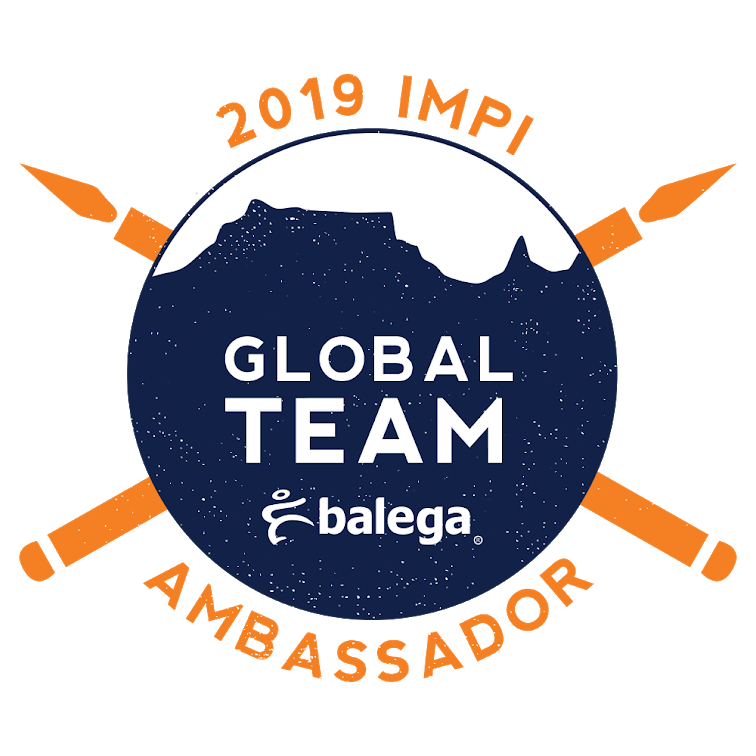 We need a global awakening. People need to start voting for survival not for change. Everyone is concerned about their mortgage and their school fees… they need to start worrying about conservation. Communicators are failing, there is an element of “topic fatigue,” but take for example Attenborough did a documentary on wild dogs and mentioned only once in the entire hour, that these dogs are threatened. 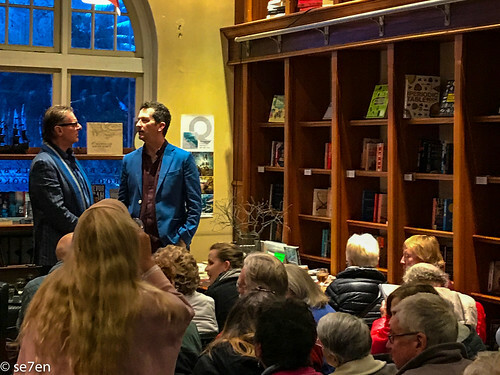 We need to find ways to alarm people into action and this is why he uses real animals in his books… he needs to tell their story and he hopes that the response will be, “That’s not fair.” And then they will be inspired to do something about it. I received a copy of this book from Struik Nature/Penguin Random House South Africa in exchange for an honest review. 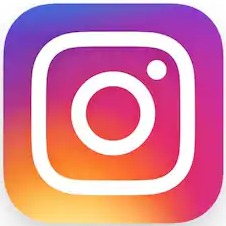 It is not a sponsored post, and all opinions expressed are entirely my own. 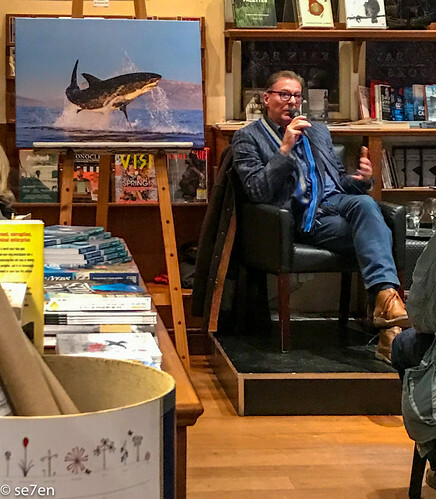 I must add that proceeds from sales of this book go to the Shark Spotter Organisation, who we have blogged about before over here.